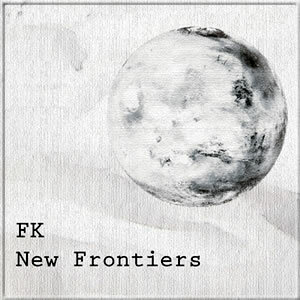 'New Frontiers' - New album from the Farrell Kelly collaboration to be launched in December. Ciarán Farrell, and guitar virtuoso, Damien Kelly, will launch their new album, “New Frontiers” on Friday 7thDecember at 7:30pm in the Royal Irish Academy of Music in Dublin. It follows their EP “Jolt” which reached No.1 in the Irish classical iTunes charts when it was released last December. The thirteen tracks on the album include unique new music for bottleneck slide and also music for guitar with digital delay. Sheet music for the entire album will also be included on the CD. Damien Kelly is one of Irelands foremost guitarists and has been playing guitar since the age of eleven. In 2009 he completed a MMus in performance at the DIT Conservatory of Music in Dublin and he also spent 12 years studying guitar with Marion Hyland at the Royal Irish Academy of Music. He has won all the major competitions in Ireland for classical guitar including the contemporary music cup and the senior guitar competiton. He has also won numerous awards and scholarships from the Royal Irish Academy of Music in both guitar and piano.